By car: Autostrada A1, Firenze Impruneta exit. At the slope turn left. After paying the toll fair to enter the city, turn left towards the direction “Firenze centro”. Drive for about 4 km in Via Senese passing a group of houses (known as Galluzzo frazione di Firenze) and a series of petrol stations. At the first set of traffic lights after the sign “inizio Firenze” turn right into Via Del Gelsomino. 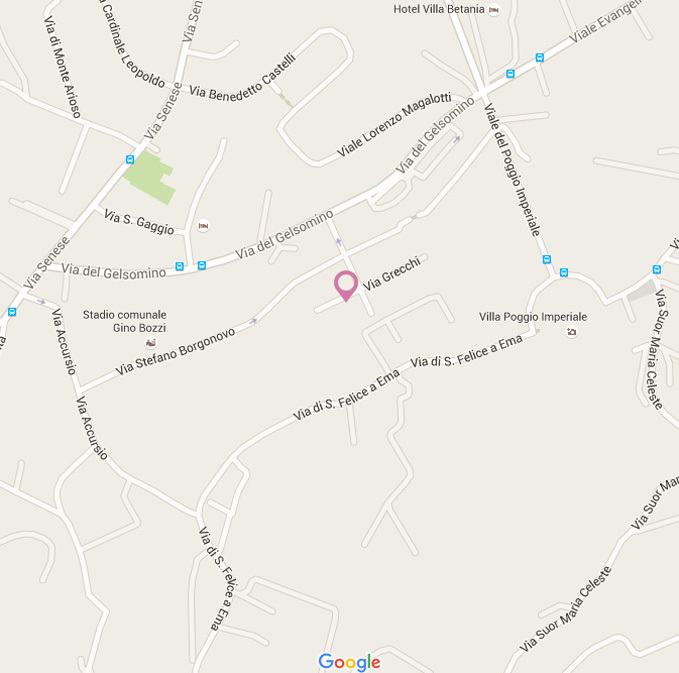 At the first set of traffic lights in Via Del Gelsomino turn right into Via Grecchi. Drive up the hill until the first crossroads and turn right. Drive down the road until you reach number 36. Train Station S.M.N. : Take a taxi or the number 11 bus, which is located at the front of the station. Get off at the second set of traffic lights of Via Gelsomino. Approximately 10 stops (about 15 minutes). Airport: Take a taxi or the Sita/Ataf “vola in bus” bus going to the S.M.N train station. Accommodation florence hills. Florence retreat, a few steps away from the centre. Accommodation vacation Florence. Cozy b&b florence hills. Retreat in the Florentine countryside.